“While not perfect, the Senate bill is better for Idaho public school students, and we are hopeful that the language protecting public charter schools access to tax-free bonds will prevail,” Idaho Charter School Network CEO Terry Ryan said Monday. On Monday, the National Alliance for Public Charter Schools said the House-passed bill could prove “devastating” to charter schools. H.R. 1 passed the House on Nov. 16, on a 227-205 vote. Idaho’s House members, Republicans Raul Labrador and Mike Simpson, voted for the bill. The charter school groups aren’t alone in criticizing the House-passed tax bill. 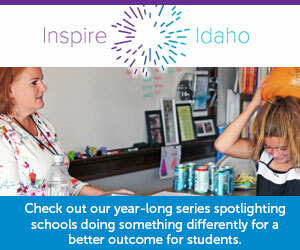 In a guest opinion published Monday at idahoednews.org, state Rep. Mat Erpelding, D-Boise, called the bill “a roadmap for destroying working families.” Erpelding, the House’s minority leader, criticized the bill for eliminating the deduction for student loan interest, tuition tax waivers and a deduction for teachers who purchase classroom supplies for students.